Rosehip tablets encourage healthy joints, aid your digestive system and help with kidney function. Studies also show that it can bring relief to arthritis symptoms. At Supplement Tree, we think this extract is an amazing way to support your body’s functions and relieve the pain associated with many problems. Rose hips are a common fruit that is found in many gardens and parks. It’s the fruit of the rose plant and comes in lots of different colours from purple to red — bright red being the most common. Rosehip extract comes from these hips and can be used in oils, tea and tablets. Importantly for us, rosehip is extremely high in vitamin C. Vitamin C is vital for loads of processes in the body from immune response (fighting colds) to keeping your skin healthy and combating the effects of aging (as it’s an antioxidant). Not only this, but vitamin C is also thought to reduce the production of enzymes that are responsible for cartilage breakdown. This means it’s good for your joints and helps keep them healthy as you get older. Rosehip is also full of loads of other components that your body loves. This includes: galactolipid, vitamins A and E, carotenoids — such as beta-carotene (the stuff that makes carrots orange), lycopene and lutein — and positive fatty acids (vital for all body functions). These might not make much sense to you (or even sound like English! ), but they each play a part in the amazing health benefits that rosehip can offer. The galactolipids found in rosehip give the tablets their anti-inflammatory properties. Galactolipids are found in all sorts of plants, but the specific structure of the one in rosehip (officially referred to as 1,2-di-O-alpha-linolenoyl-3-O-beta-D-galactopyranosyl-sn-glycerol — if you want to impress!) has particular anti-inflammatory properties. 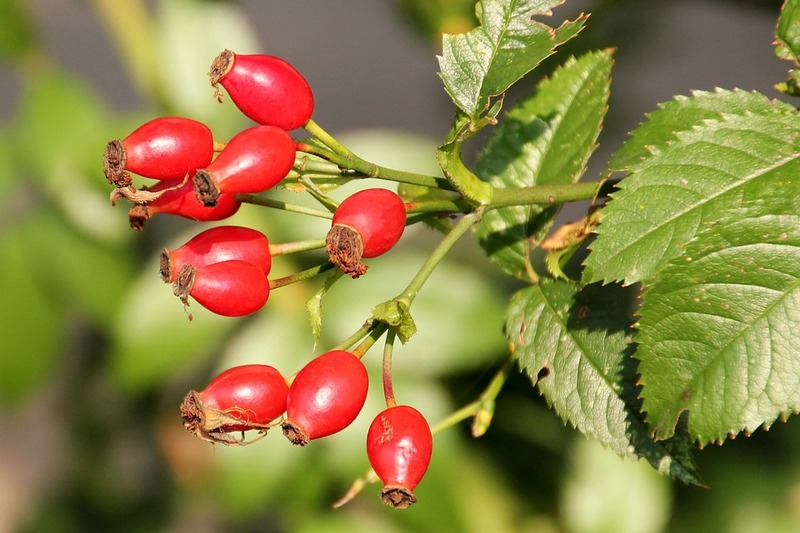 This means that rosehip tablets have proven effects on aiding problems and symptoms that are associated with inflammation, including arthritis and inflammatory bowel disease. While anti-inflammatory drugs, like aspirin, can lead to side effects such as stomach ulcers, rosehip extract provides the anti-inflammatory effects in a natural form. As an anti-inflammatory, rosehip can relieve some of the pain associated with both osteoarthritis and rheumatoid arthritis. Not only do the galactolipids help with this, but rosehip tablets are also full of polyphenols and anthocyanins. These are natural chemicals that are thought to support your joints, both reducing inflammation and minimising joint damage in the future. Studies have shown that people with rheumatoid arthritis report a better standard of life due to increased mobility and reduced symptoms after taking rosehip tablets. Studies in osteoarthritis also reported that rosehip largely reduced the pain associated with this form of arthritis, as well as overall disease severity. 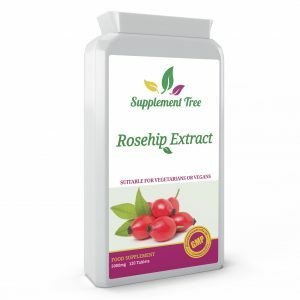 Rosehip extract tablets are a great way to improve your immune defence and support your body’s immune system. It’s already been mentioned that rosehip is extremely high in vitamin C, which helps your immune system combat illness and disease. It also contains high levels of vitamin A and E, which both aid this function and increase the immune boost effects of rosehip tablets. These vitamins are also beneficial in other ways: they support your eyes, encourage healthy skin, help you see in dim lighting and even keeping your nose healthy! Rose hip forms the basis of our rosehip extract tablets that can provide all the positive effects detailed above and many others. 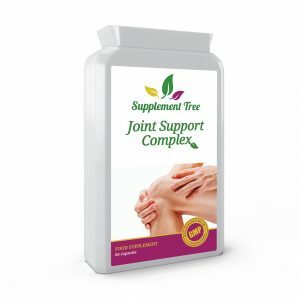 You can also find rosehip in our joint support capsules and Vitamin C support capsules.